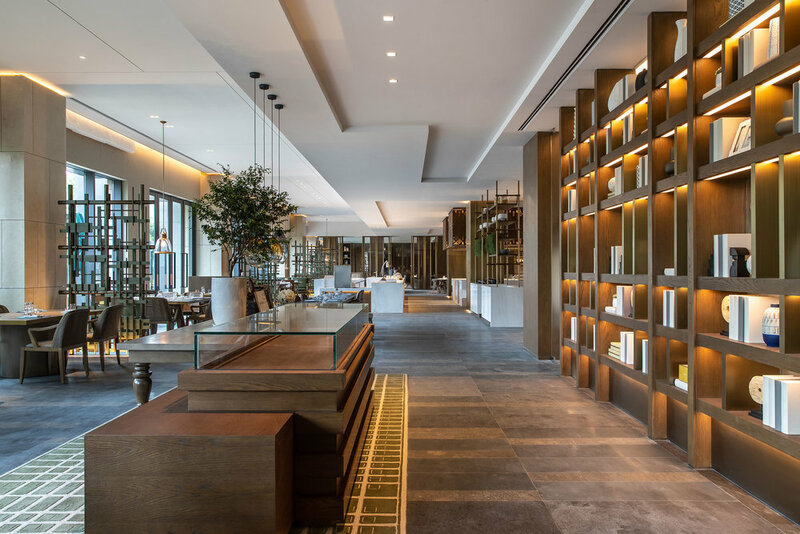 The latest offering under the Hilton brand, the independent Curio hotels are characterised by their unique locations and designs, each conveying a strong sense of local flavour and heritage. 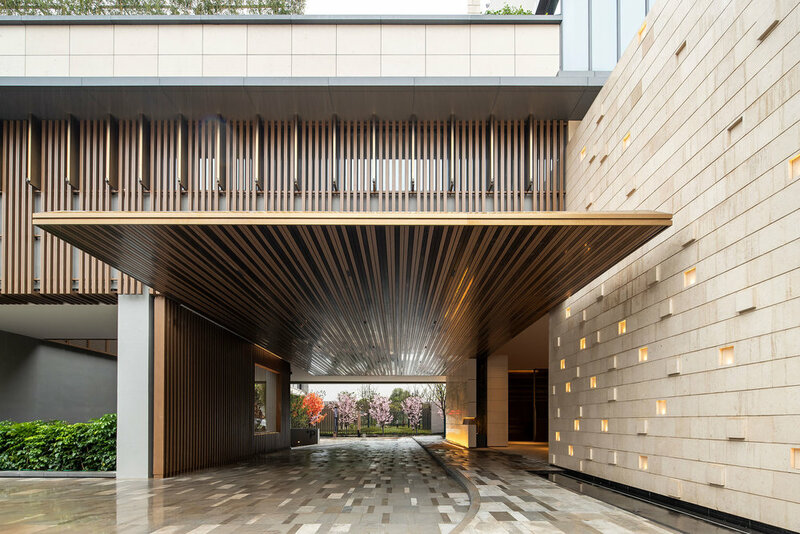 To China’s Fujian province comes the region’s fourth Curio hotel, Joyze. 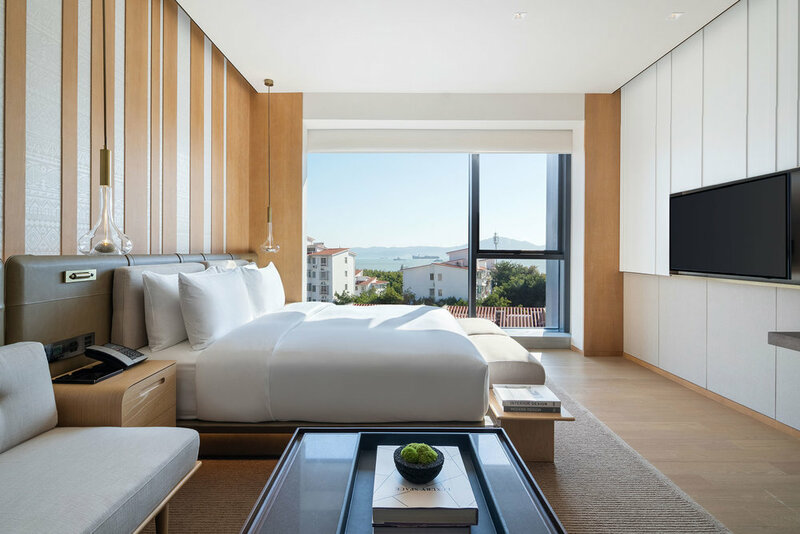 Multiple award-winning firm Cheng Chung Design (CCD) was called upon for the hotel’s design, and the team looked to Minnan culture and Xiamen’s history as a fishing town to design the hotel as a ‘floating city on the sea’. 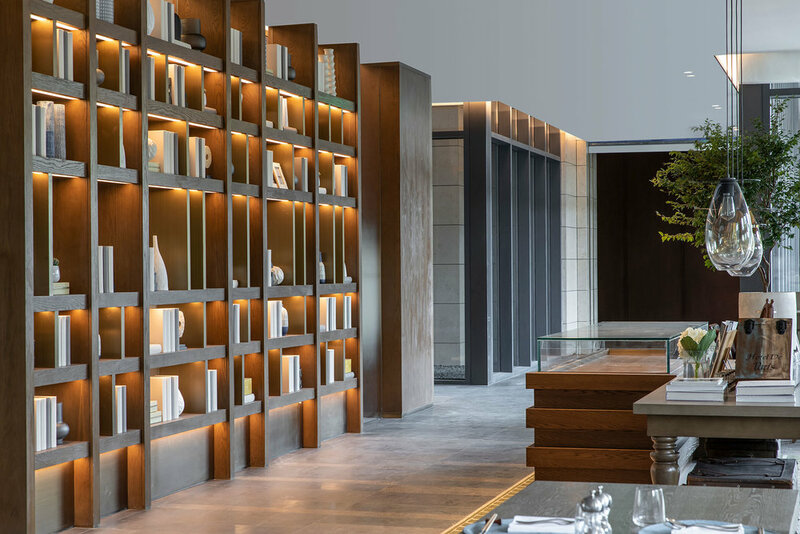 The design team was inspired by the historic fishing village topography and designed the hotel to narrate the story of its location, paying homage to the traditional with innovative and contemporary flair. 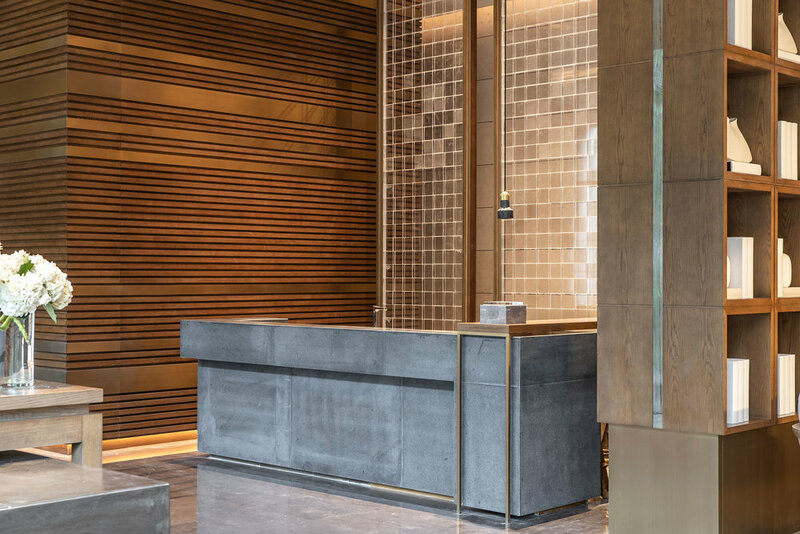 The floorplan invites guests to explore their way around the hotel through a series of small lanes, twists and turns. Cubes and boxes, reminiscent of traditional local homes, are a constant motif. 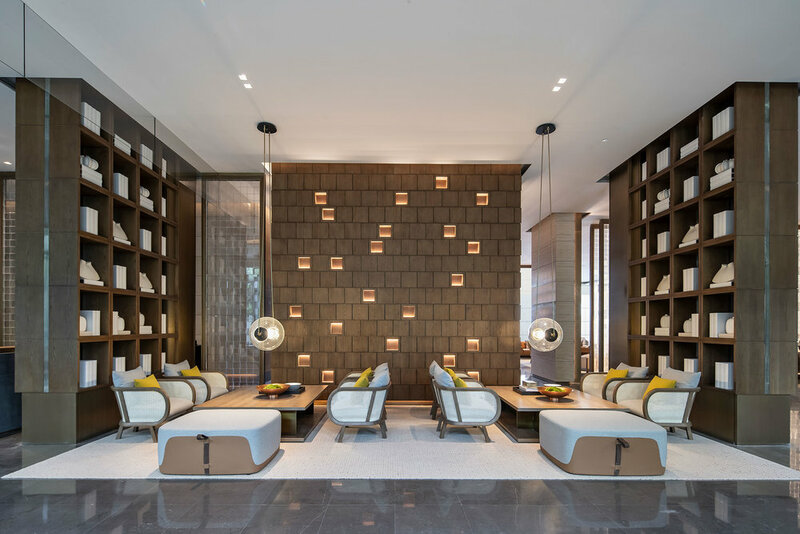 In the reception area, a wall of cubes was inspired by the fishing nets that were hung outside each home at the end of the day, while the boxes and squares that feature on the building's facade and exterior walls and partitions were created to resemble the windows of small village homes. 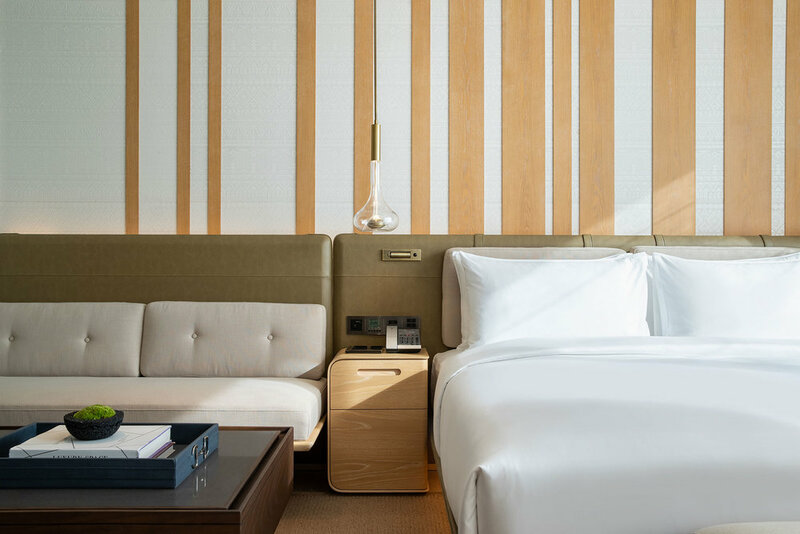 Guest rooms are outfitted in a neutral, classic palette that highlights details specific to Zeng Cuo An and the nearby Gulangyu island, like woven textiles and carved ceramic tiles, while in some, floor-to-ceiling windows offer expansive views of the surrounding town and landscape. As a side note, Gulangyu itself is a designated UNESCO world heritage site, and is just a short ferry trip from the mainland. You can easily spend the day exploring the charming island’s winding alleys, historical architecture, shops, cafes and cultural centres. 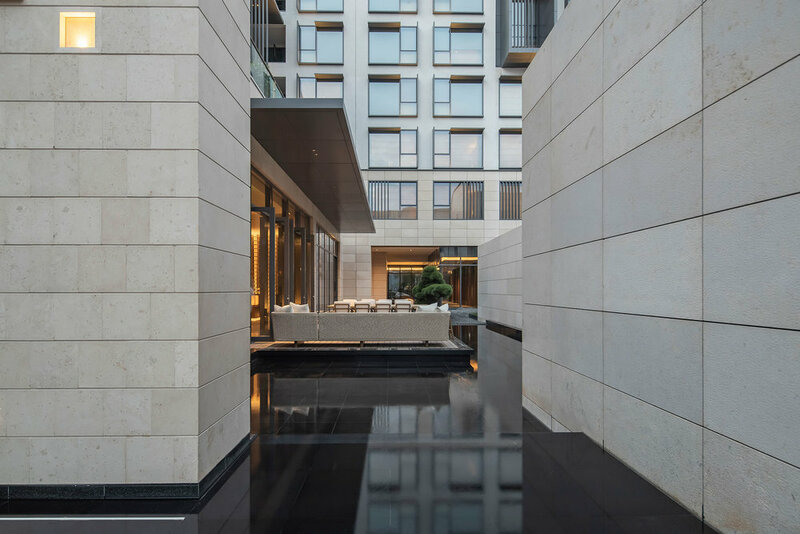 With Gulangyu as but one example, Joyze’s prime location between Dongping Mountain and the coastline make it perfectly positioned for guests to discover the local cultural sights and surroundings, with most only a short walk or ride away. Exploration and discovery are at the heart of Joyze, and while your days could be spent at the rooftop pool or in the lush spa, the real experience lies beyond the confines of the hotel. Highly knowledgeable staff are always on hand to help tailor your itinerary and share insider tips and recommendations, but it’s the innovative digital personality test that makes the experience feel truly unique. Curio undertook a research exercise to determine the role that curiosity plays in travel, and the result is the custom-designed Curiosity Quiz, which determines which of five categories (Epicurean, Spiritualist, Pathfinder, Challenger or Culturalist) you fit into, and then creates a custom itinerary to suit your style of exploration — allowing you to experience the local culture in a meaningful and memorable way.